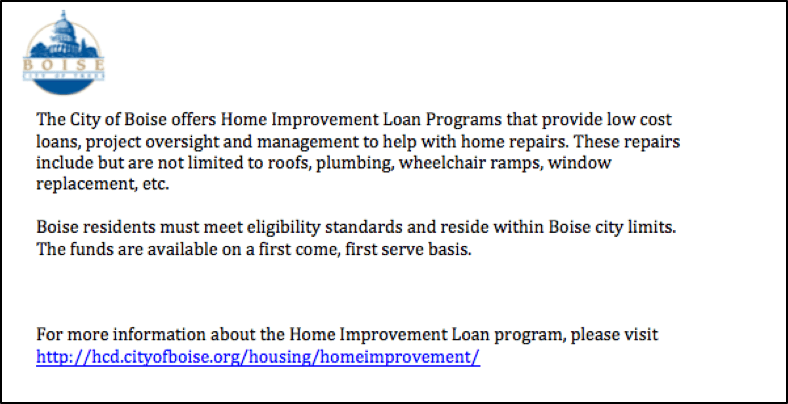 The Housing and Community Development group — a division of the City of Boise’s Planning and Development Services Department — offers a Home Improvement Loan Program, providing low-cost loans to Boise residents meeting specific eligibility requirements on a first-come, first-served basis. 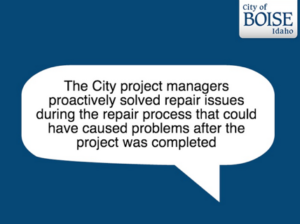 The program — which designed to foster safe and sanitary conditions, bring homes up to current codes and defray maintenance costs for homeowners — was underutilized due to a lack of public awareness. Given our expertise in brand strategy, marketing communications and public relations, Red Sky’s services were sought to help generate awareness and new applications for the loan program. Red Sky led a collaborative strategic planning session with the Housing and Community Development team to discuss partner and engagement opportunities. The session identified key target audiences who could help communicate the benefits of the program and a contact sheet was developed for specific internal and external resources, along with a list of potential speaking engagement opportunities. Red Sky developed a messaging platform for the Housing and Community Development team to leverage in communications to each of their audiences. 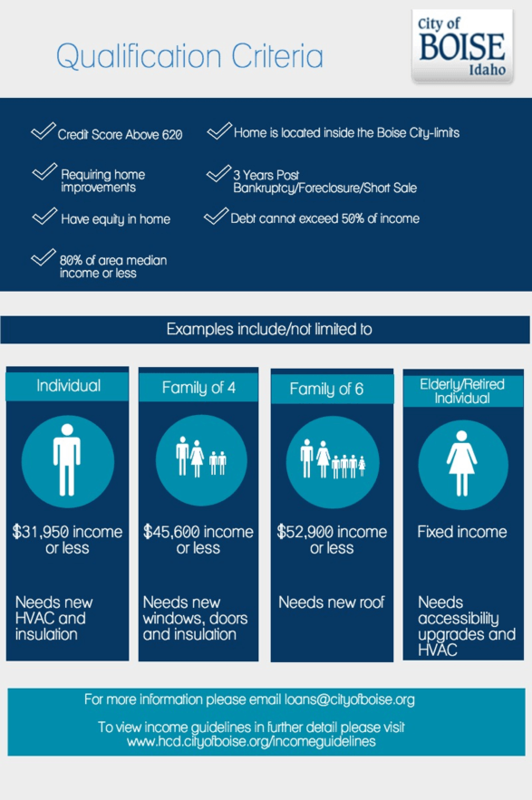 In collaboration with the Housing and Community Development team, Red Sky developed two infographics to communicate the program’s application process and eligibility requirements. 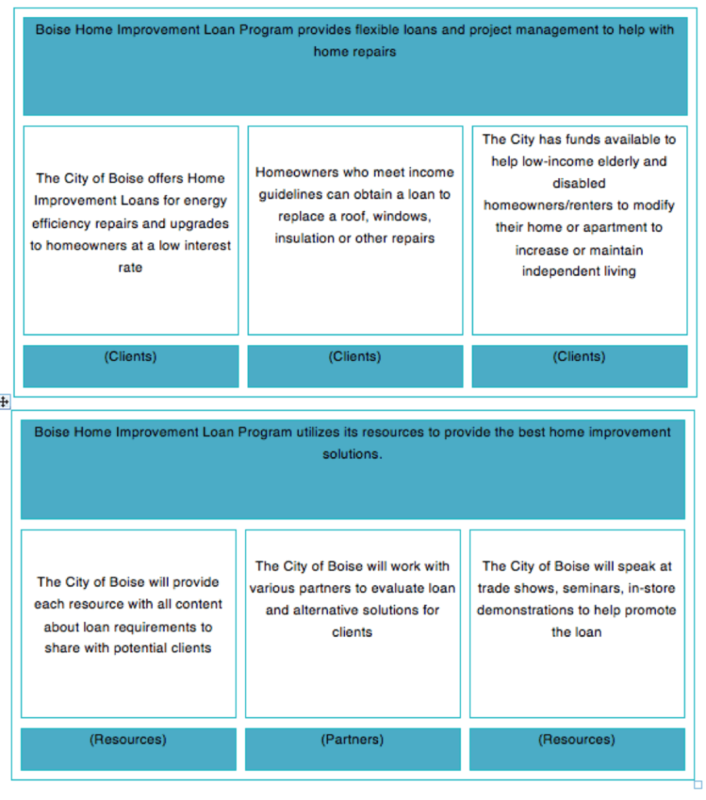 Red Sky developed a series of communication materials encouraging key partners to promote the loan program. 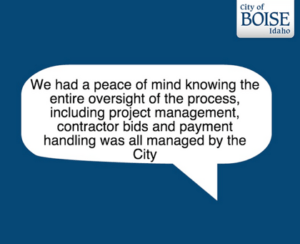 Although the awareness campaign was just recently launched, the Housing and Community Development group reports an increased number of inquiries on the program, as well as additional funds secured for future loans. "The Red Sky Team took on a program that was old, complex and multi-faceted. Not only did they take the time to understand our work, they gave it a fresh look and made the final product customer friendly! The partnership between our department and Red Sky was so positive and supportive; they became as passionate about our program as we are!" Red Sky is a strategic partner skilled in illuminating the key audiences and most effective channels for sharing your story. We align communication strategy with your business goals. Enter your email below for monthly updates from Red Sky. Yes, sign me up for Red Sky news. Yes, sign me up to receive Red Sky news.